Where did the time go? In accordance with our annual tradition here at RootsMagic, we’d like to look back on this past year and review some of our accomplishments with you, our users. And don’t forget to check back on Tuesday as we present our 2013 New Years’ Resolutions with a peek at our plans for the coming year. But until then, let’s turn the calendar back to January 2012. Over the past two years, we have pioneered the use of “webinars“, or free online classes, to help our users get the most out of our software. We’ve offered over 40 classes spanning over 40 hours of instruction to answer your questions and to teach you all the ins-and-outs of our software. In 2012 alone, our webinars have been viewed and downloaded hundreds of thousands of times from users in nearly every country on the globe. And don’t forget, all of our webinars are archived and still available, free of charge. If you haven’t already watched one of our webinars, what are you waiting for? Just pick a webinar on a topic that you’ve been curious about and watch it today! No other genealogy software comes close to providing the level of support and training that we do. This year brought the usual conference travel, but this time we wanted to give back a little to the genealogy community that has given us so much. 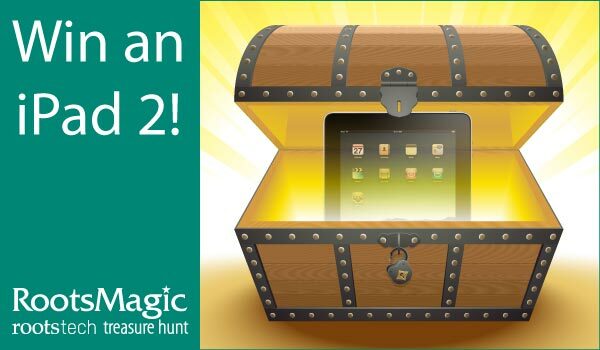 First, at the RootsTech conference in February, we gave away two iPads in the RootsMagic 2012 RootsTech Treasure Hunt. It was a lot of fun and brought some well-deserved attention to bloggers in our genealogy community. In May we sponsored Genealogy Youth Kamp at the NGS Conference in Cincinnati. Youth Kamp was designed to assist children between the ages of 8 and 16 with gaining an appreciation of and connection to their ancestry. To aid in this, parents, grandparents, or other adults were encouraged to attend and participate in Youth Kamp along with the children. We were pleased to again sponsor the Southern California Genealogical Society’s Annual Genealogy Jamboree in June. The red carpet theme was a lot of fun and we were happy to contribute deluxe badge holders to all attendees. And at the Federation of Genealogical Societies conference in Birmingham, Alabama we sponsored the RootsMagic Cyber Cafe, the place to hang out, go online, charge a device, or print those syllabus pages you needed. 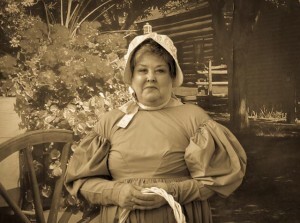 In August, we sponsored an old-fashioned photo booth at the Utah Genealogy Association’s Fall Conference. 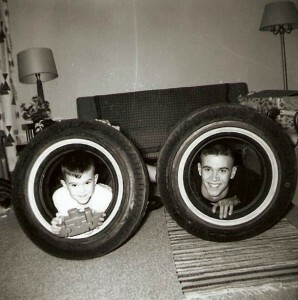 It was a unique event that provided genealogy activities and games geared for the entire family. In October, we held a “Most Interesting Family History Picture and Story” where we asked for interesting pictures and stories from our users. We were overwhelmed with the love and pride that people felt for their family histories. It was a very hard job, but our panel of judges narrowed the list down to 8 pictures and stories and the public voted for their favorites. The finalists each won a copy of our Personal Historian 2 software and the picture/story with the most votes won a Flip-Pal mobile scanner and case. We’ve also been pleased to sponsor two great genealogy podcasts- The Genealogy Gems with Lisa Louise Cooke and The Genealogy Guys with George Morgan and Drew Smith. Watch for a blog post soon about podcasts and how you can take advantage of these valuable resources. We released regular free updates to our RootsMagic 5 software throughout the year, adding several new features such as our “Who Was There” Report. 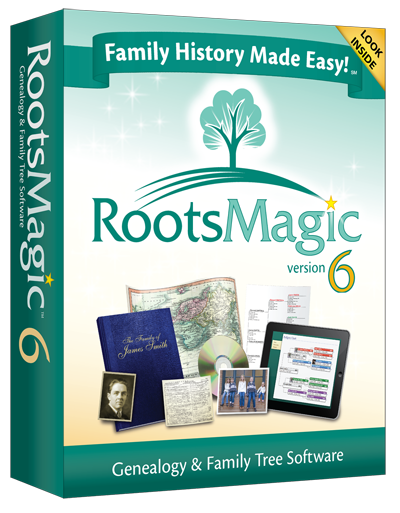 And in November we released RootsMagic 6, the latest version of our award-winning genealogy software. RootsMagic 6 added an editable Timeline View, Find Everywhere, CountyCheck Explorer, WebTags, and much more. And the best is yet to come! 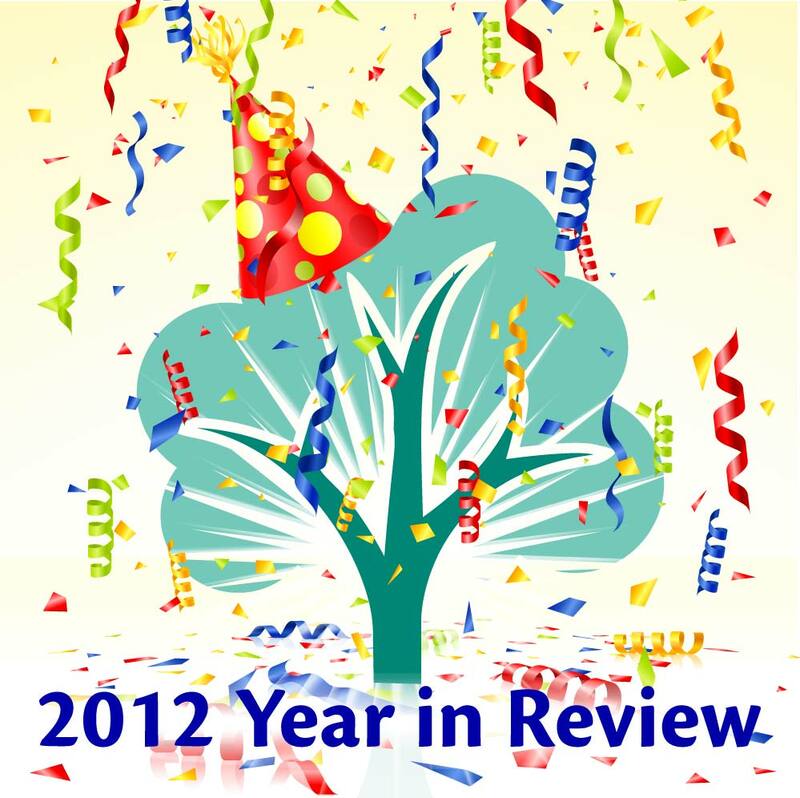 One of our resolutions for 2012 was to move RootsMagic to more platforms and more devices. RootsMagic 6 also introduced a new feature which has proven to be extremely popular with our users- online publishing of your data and free My RootsMagic hosting service. 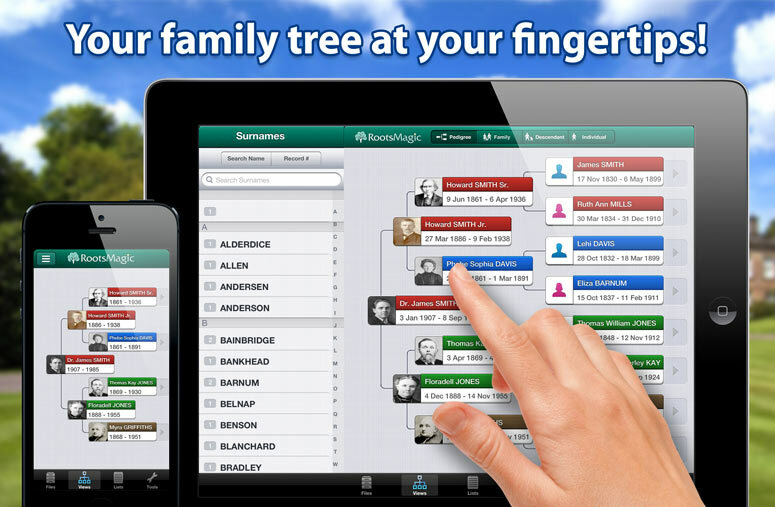 With it, you can easily publish and share your family tree, notes, sources, and media with others. In the short time since it’s release, thousands of family history websites have been created and uploaded using RootsMagic 6. And what better way to close out the year than with the release of RootsMagic for our first non-Windows platform- RootsMagic for iPhone, iPad, and iPod touch. Now you can easily take and show off your family history with you wherever you go. RootsMagic lets you carry your genealogy on your iPhone, iPad, and iPod touch! It’s fast, easy, and free! We say this every year, and we know this always sounds clichéd, but none of this would have been possible without you and your support. 2012 has been a huge year for us and, rest assured, we’re working hard to make 2013 even better! You have done great things in 2012. 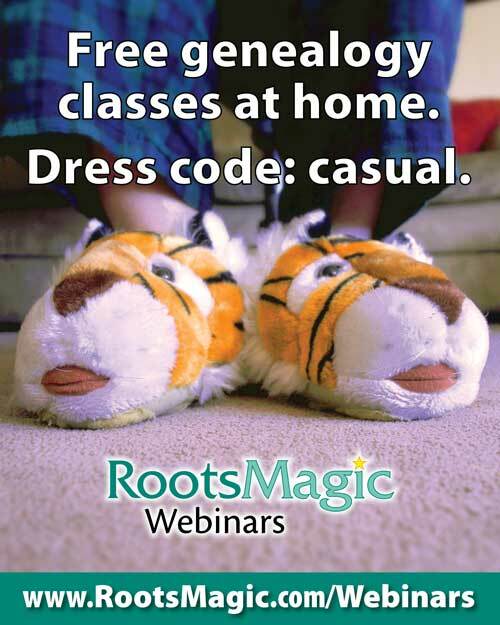 I am so glad I switched to RootsMagic and I’m looking forward to 2013 to see what you do. Best wishes to all for 2013. With RootsMagic, I look forward to new versions and updates. There is always something new and better, but I really have to get caught up with your webinars. They are some of the best tutorials in the industry. will over time became over used. In accordance with the English trait for understatement, RootsMagic is really very, very good. Thank you. Have been researching genealogy for 30 years and find RootsMagic the simplest and most comprehensive soft ware to use. Thanks RootsMagic! You have have been a great help since I upgraded to Version 6. The ability to easily exchange data with the my LDS Church is wonderful.